The Hubby and I booked this trip over a year ago and we were lucky enough to have my mom join us as well! 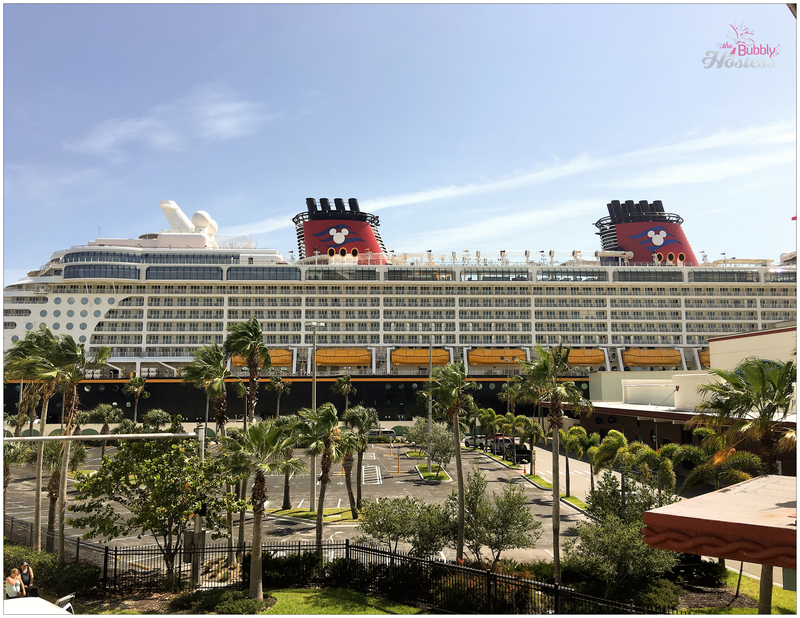 This blog post is to share our experiences with you sailing aboard a 4 night cruise on the Disney Dream – Concierge Style. 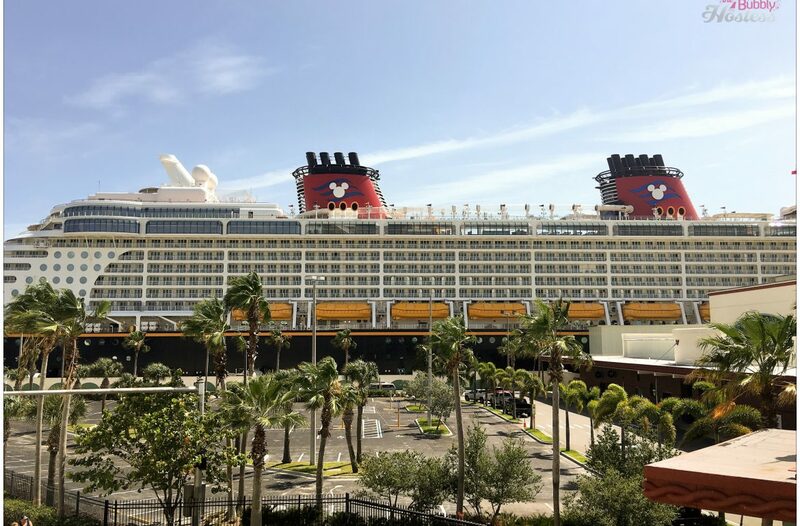 Prior to our vacation, we read through a bunch of blog posts that were super helpful, so hopefully this one is helpful if you are planning a Disney Cruise! Concierge guests are not asked to choose a specific boarding time, they can board any time they’d like. What’s nice about this is if you get there early and get on the ship before the bulk of the passengers, you’ll have this ship “to yourselves” for just a little while. This meant lots of rides on the AquaDuck for our family before the line formed! 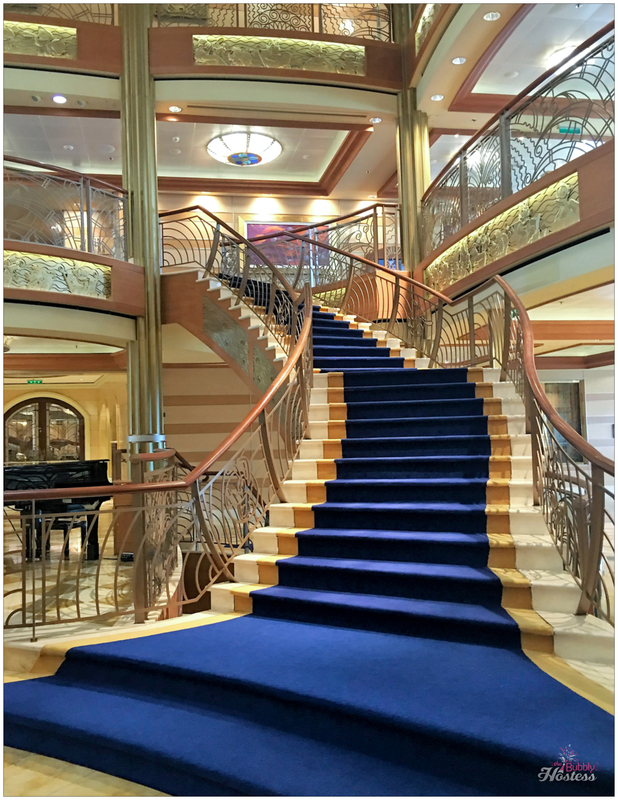 Upon arrival, we saw the beautiful ship and got through security pretty quickly. This line is for everyone, no Fast Pass for concierge guests, but it moved along. Once in the terminal, concierge guests head straight back towards the boat and to the right to check in at Concierge. They took our photos, gave us our key cards, and gave our boys the wristbands used for the kids’ club. After checking in, we waited in a private area for just a few minutes prior to boarding. The boarding process (for everyone) is awesome. 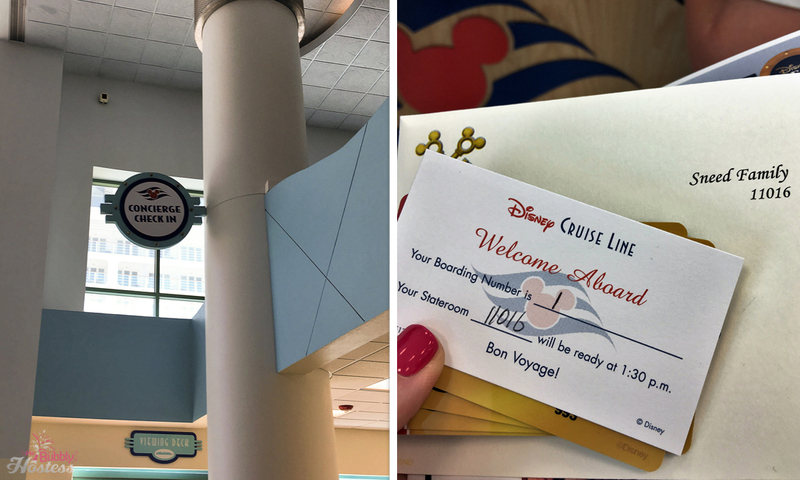 They announce your family’s name as you board the ship, there are no other guests in the entrance area, and the staff applauds you. Once on board, you are whisked to the Concierge Lounge – this will become one of your favorite places on the ship! There are lot of yummy treats for snacking and upon arrival, champagne, mimosas, and a full bar was available. This was a great time for us to each lunch and while there, we were introduced to our three concierges. Danny, Angeline, and Tracy were all fantastic! We first met Angeline as she sat down and walked through our personal itinerary with us. After going through out itineraries, we headed to our rooms – the Concierge decks are 11 and 12, we were on 11 which was great because that was the same deck as the pools and slides. 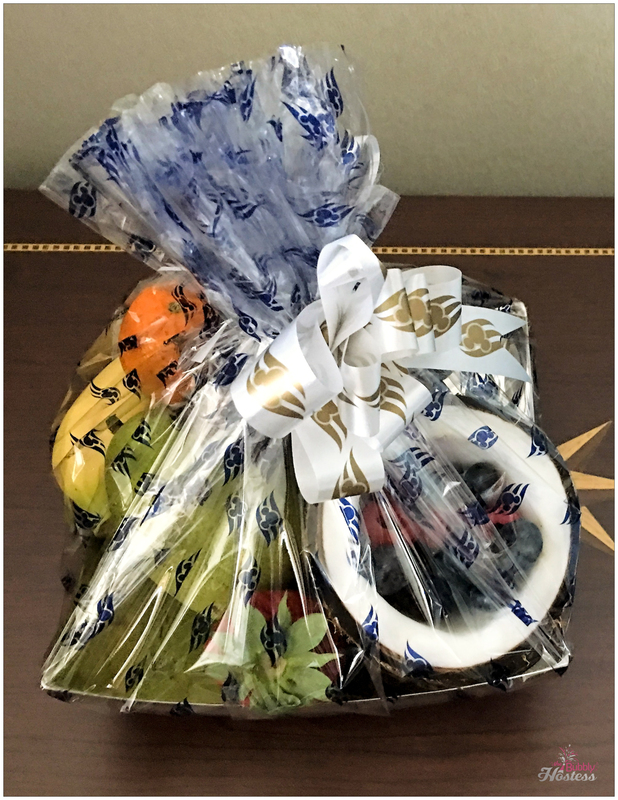 The rooms were gorgeous and we found our first gift from our Concierge team – a basket of fresh fruit! 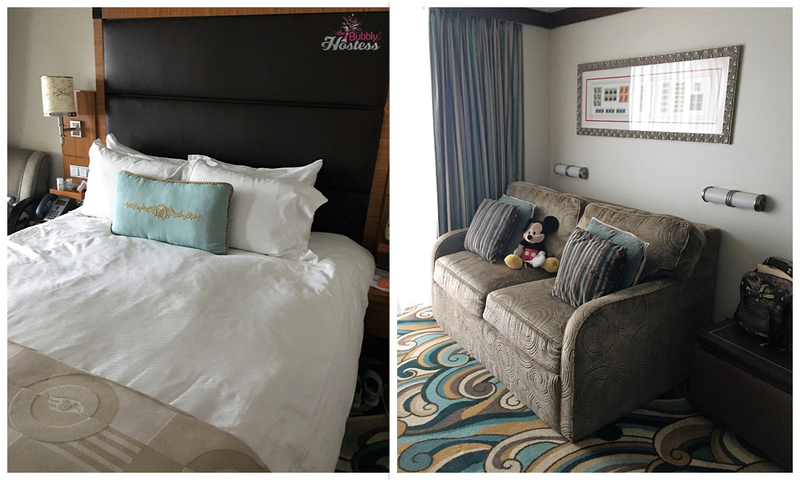 With upgraded bedding and decor, the stateroom was perfect. There was a bed and then a fold out couch and a bunk that came down from the ceiling. 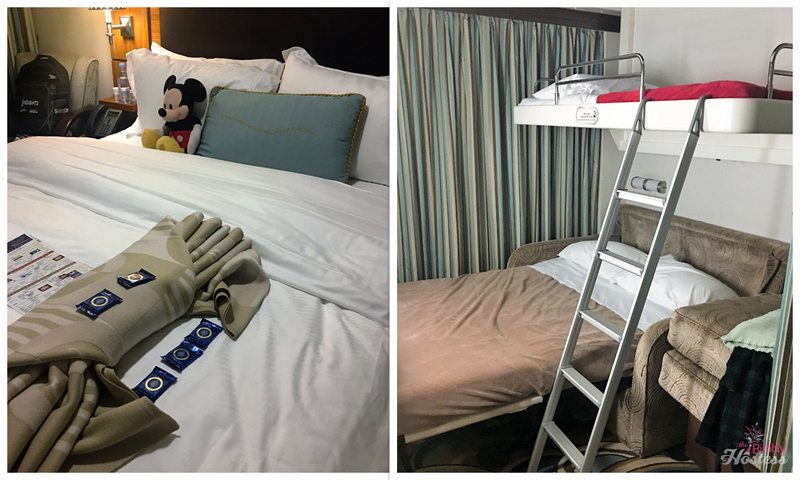 Each night the stateroom hosts would turn everything down (along with a blanket or towel shaped into an animal, lots of chocolate, and the activities schedule for the next day) and then put it all back in the morning once we left our room. We also had a decent sized verandah – my mom’s was larger due to the position of her room on the ship! The verandah’s had a clear roof but also had open space for fresh air. The Mickey Mouse belongs to my little one – he still sleeps with it every night and Mickey always travels with us. The stateroom hosts made sure he was in good spot each time they were in the room! The room had two bathrooms – one with a sink and shower/tub and one with a toilet and sink. 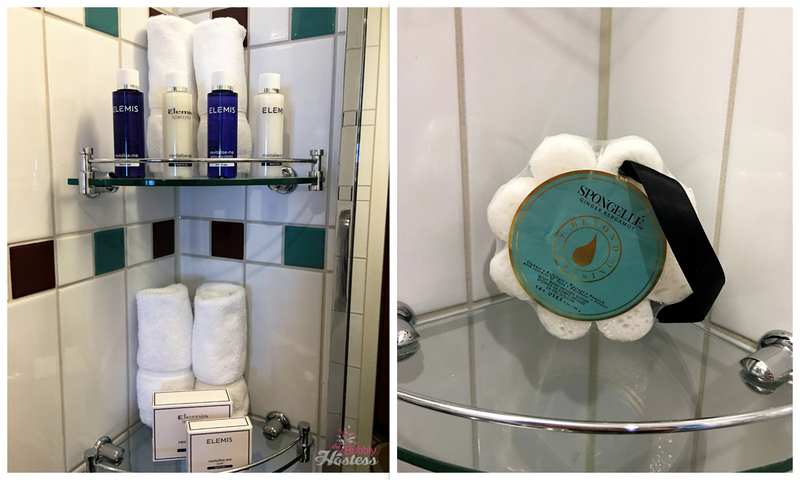 Even the toiletries were an upgrade! Since we boarded so early, we had a lot of time to check out the ship. We went to the Oceaneers Club – it was huge! Although my boys didn’t spend a lot of time there, it was cool that Star Wars had been built into part of it. 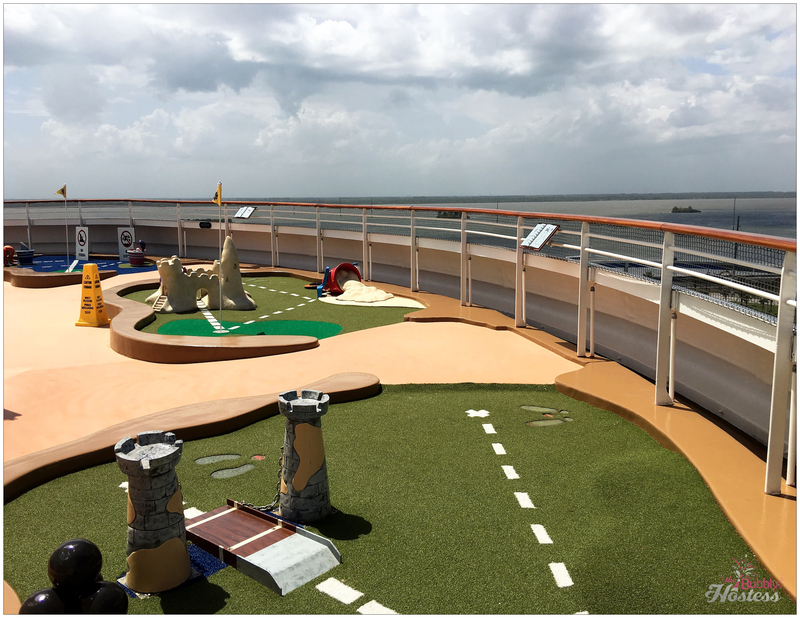 There were tons of different video games in there from Star Wars to Disney Infinity to even sailing a cruise ship! We then hit the pool deck area and rode the AquaDuck a few times before the line started to form. During our visit, here is what we learned about the best times to ride the AquaDuck. 1) Right after boarding (if you are Concierge) before the crowd shows up. 2) After breakfast on days 2 and 3 of the 4 night cruise – before you depart the ship in Nassau (day 2) and Castaway Cay (day 3) and 3) During the Pirate Party the evening of day 3. Yes – that’s right. My boys didn’t really want to watch the show – there was NO LINE for the AquaDuck – I think they rode it 30 times! The AquaDuck is a fantastic water slide! 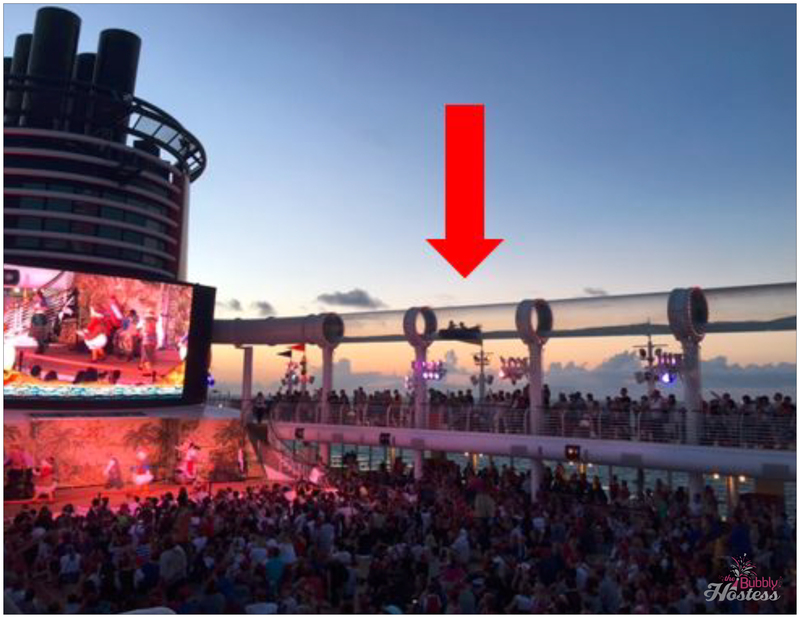 Taking you from one end of the ship to the other in a clear tube, and even starting off by going over the edge of the ship, it is fun for everyone! 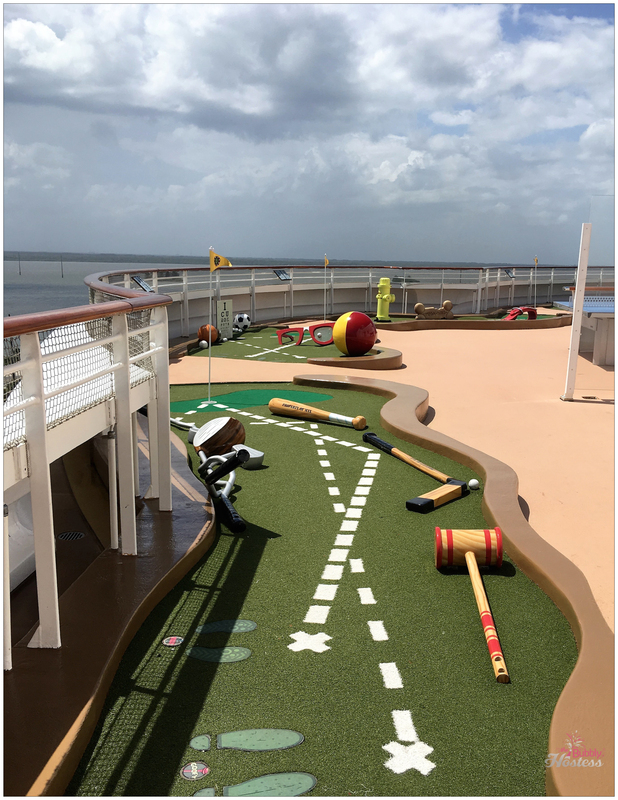 On the 11th deck at the aft of the ship there is also a basketball court and miniature golf – so fun! On the first morning of our cruise we arrived in Nassau, Bahamas and purchased the excursion to Atlantis – our boys LOVED it! On day 2, we arrived at Castaway Cay – you can go here to read my blog post about our time spent there. 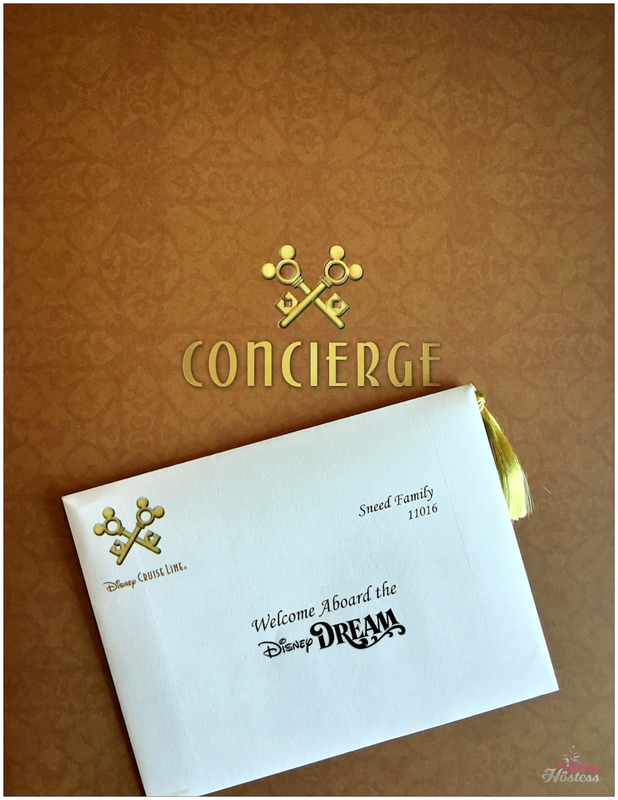 Every evening we came back to a little treat from our concierge team in our room! 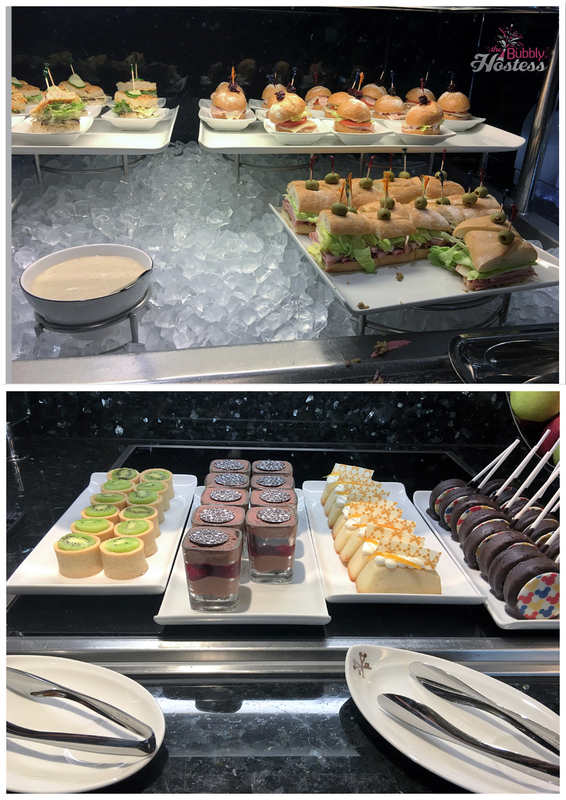 The concierge lounge also served different snacks and treats each day – our boys loved trying out all of the yummy desserts! Each evening the Concierge Lounge served a full bar from 5:00 p.m. – 10:00 p.m. It was always nice to pop by, grab a cocktail, have a snack before the show or activity we planned before dinner. 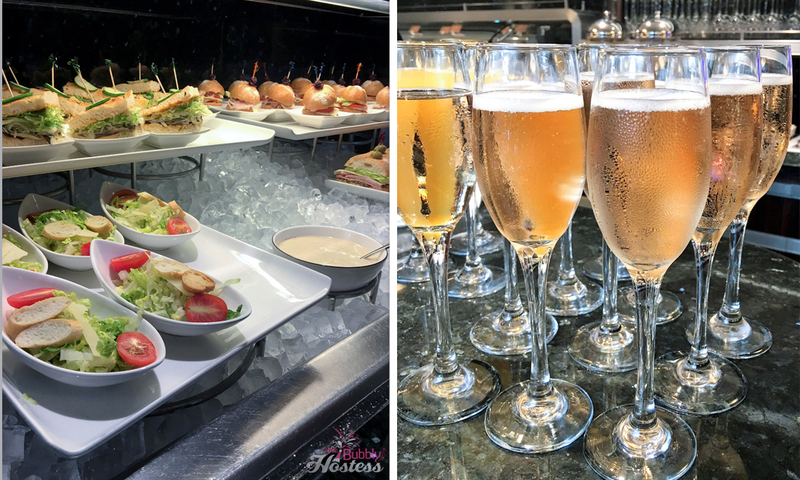 What I learned while aboard the Disney Dream, is that Disney has their own Fairy Tale Celebration Cuvee made by Iron Horse Vineyards – it was delicious! Day 3 was spent as our day at sea. 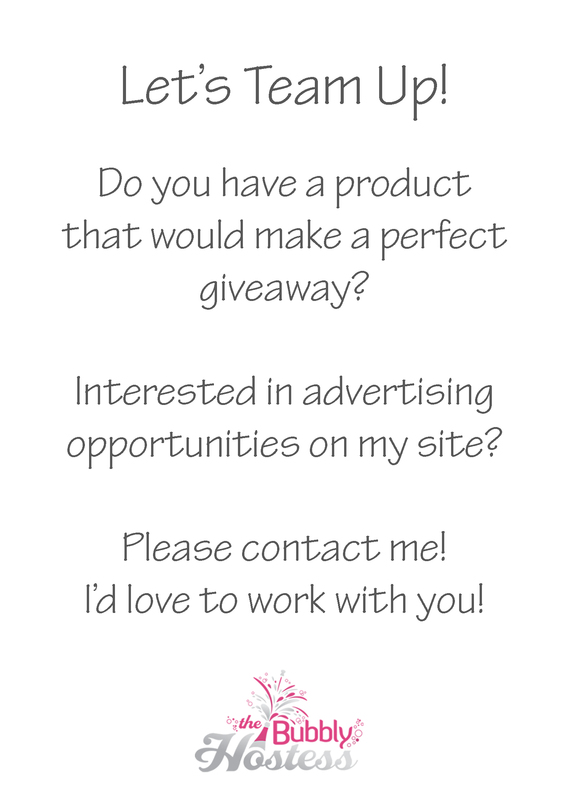 You can visit my blog posts about Palo and Pink to read more about this day! On our final evening, we were given this very cool, limited edition print as a final gift from our Concierge Team – we love it! The night before disembarkation day, we had our luggage picked up right outside of our room. The next morning, we headed to the Concierge Lounge around 7:30 a.m., enjoyed a nice breakfast, were escorted off of the ship by 8:00 a.m., and easily grabbed our luggage. Perfection. Our entire family loved our entire experience!